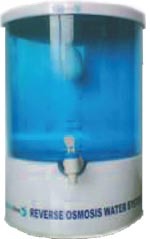 Outlet Flow Rate 10-12 ltrs/hr Weight 10Kgs.appox. Dimension Frame 33x 30 x 47 cm. Temp. 40°c max.